More HTML5 action from Mr Doob. 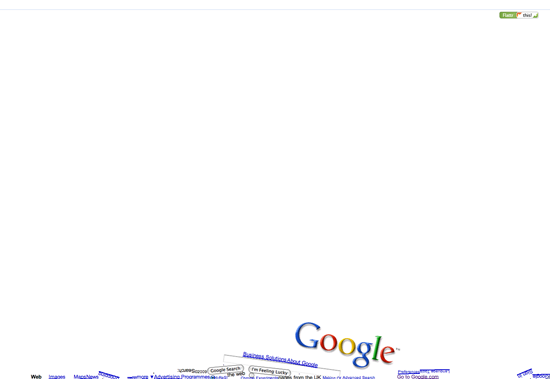 This time it comes in the shape of Google Gravity. All of the functionality of Google stays in tact, but you are able to shake your browser window to move elements around (much like Ball Pool). Mr Doob, or Ricardo Cabello, is a designer/developer that likes to play with the possibilities on the web. He’s done a variety of work, but his latest is an HTML5 experiment that allows you create a pool of balls and shake them when you shake your browser window. Try it out for yourself here.